The warship, which includes elements of the 22nd Marine Expeditionary Unit and has a total of 703 sailors on board, is currently on mission in the Persian Gulf. CHISINAU (Sputnik) - US amphibious assault ship USS Fort McHenry arrived at the Romanian port of Constanta for three days to conduct joint exercises with the Romanian frigate in the international waters of the Black Sea on January 10, Romanian Navy reported on Monday. US 6th Fleet Commander Lisa Franchetti announced that the American landing ship had been sent to the Black Sea region to enhance security and to reaffirm US commitment to "strong relationships with NATO allies". MOSCOW (Sputnik) - Patrol ship Pytlivy of Russia's Black Sea Fleet is monitoring actions of USS Fort McHenry that entered the Black Sea on January 6, the Russian Defence Ministry said on 7 January. 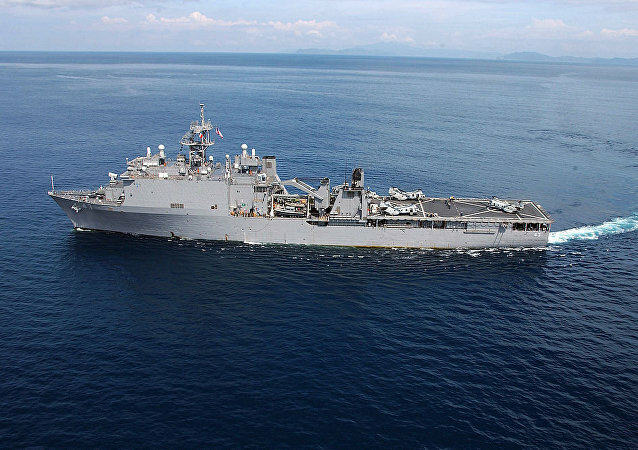 MOSCOW (Sputnik) - An American landing ship, the USS Fort McHenry, has entered the Black Sea, in what Commander Lisa Franchetti of the 6th Fleet said was a routine operation to uphold security.